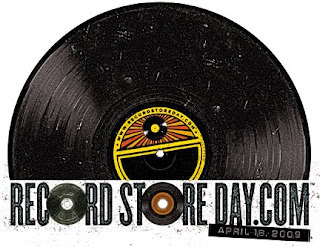 Here is our poster in support of Record Store Day on April 18th. We created this for the poster show “Lyrically Speaking”, a show organized by Chuck Keppler and Leia Bell. Happy to be a part of this neat event! It’s a pretty cool idea: let artists interpret song lyrics however they wish to! We opted to let The Beatles classic song “A Day In The Life” inspire us…There’s a couple “hidden” items, such as the actual newspaper photo of the car wreck that killed Tara Browne, once a close friend of John Lennon and Paul McCartney. As the story goes, Lennon was reading The Daily Mail newspaper, scanning news articles as the two of them created the now infamous song. So, sometimes common things like the day’s newspaper, getting the groceries, etc, can in small and at times big ways change your life, in ways you may not expect. The show will be opening at Signed & Numbered/Slowtrain Records in Salt Lake City, Size Records in Oklahoma City AND 52.5 Records in Charleston, SC. The 9″ x 12″ three color poster (black, tan and white ink) was masterfully printed on French Speckletone Old Green stock by the great folks at The Half and Half. Available for purchase soon! 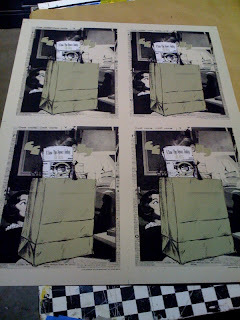 Signed and numbered edition of 100.